Tbh, nothing screams TREAT YO SELF more than this. If you are stuck for ideas this Valentine’s Day, look no further than Blow Bar Co! These babes are offering a his and hers Date Night package, valued at $150! She receives a hair wash, blow, and bubbles, while he can enjoy a head massage. Together, the couple sip on bubbles and beers and enjoy a decadent cheese plate. 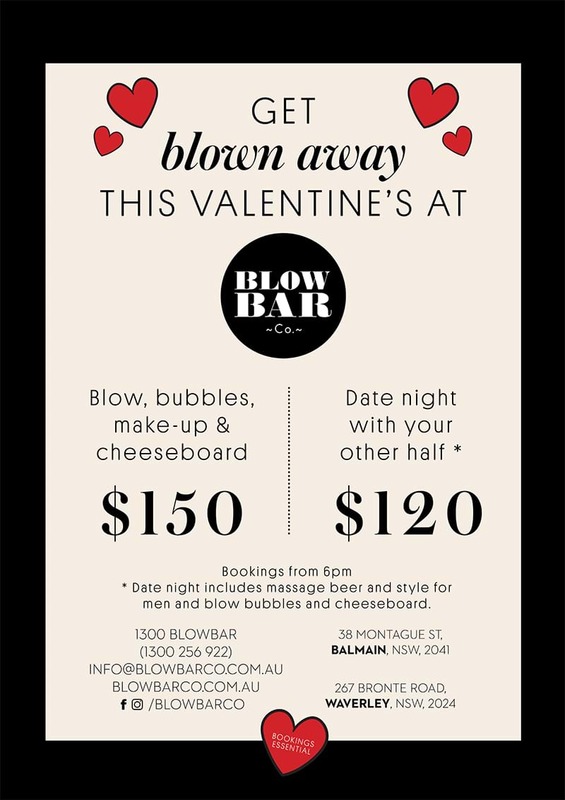 Blow Bar Co venues hosting Date Nights are located in Waverley and Balmain. Make sure you book so you don’t miss out!! Check out their website here and be prepared to be blown away!